Rawlings Los Angeles Angels full-size replica batting helmet. Hand-signed and inscribed in silver paint pen by Mike Trout. The helmet is a limited edition and has been hand-numbered #27/27. 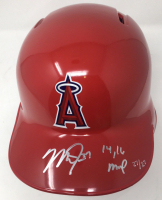 This Angels batting helmet has been hand signed and inscribed by Mike Trout. 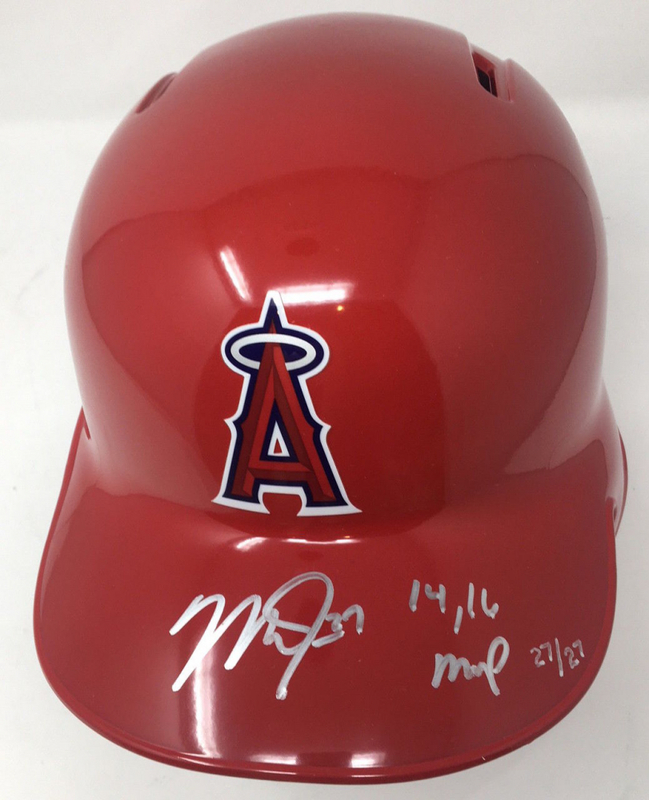 Trout added the inscription "14/16 MVP" to make this limited edition item a must have for any collector. The signature on this item has been authenticated by Major League Baseball and features a uniquely numbered tamper proof hologram which can be verified in the Major League Baseball online database. 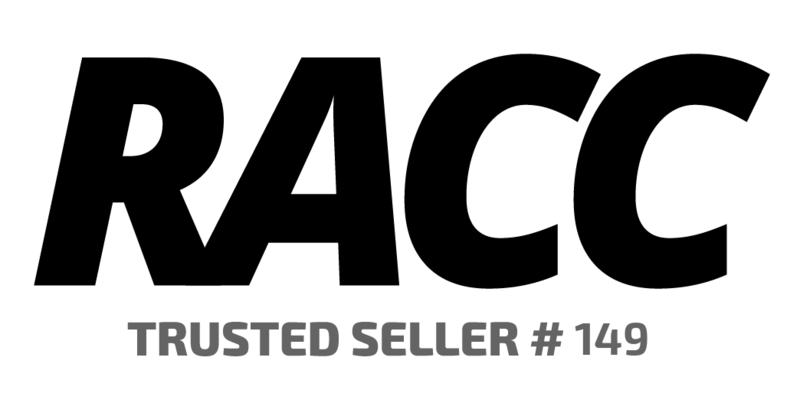 This process ensures your item is authentic and prevents duplication and fraud. 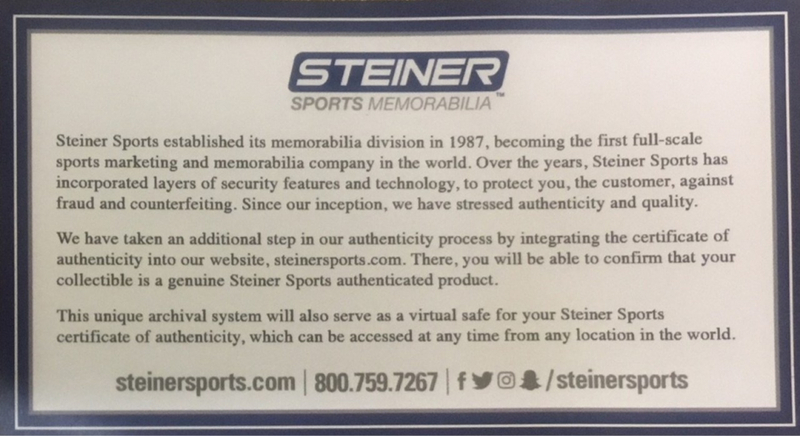 In addition, a Steiner Sports hologram and certificate is included. This helmet is limited to only 27 and you are bidding on number "27" from that edition. 100% Guaranteed Authentic. Features Tamper-Evident Steiner Hologram. Perfect Collector's Item. Includes certificate of authenticity and hologram! Trout's signature is guaranteed authentic through the Steiner Sports Authenticated serial numbered hologram system. The lot/autograph (s) includes an official Steiner Sports hologram and matching COA for authenticity purposes.